The Green Phone Booth: Not Just "Green"
From the bean of Green Bean. 1. Accept the award. Post it on your blog with the name of the person who has granted the award and his or her blog link. 2. Pay it forward to 15 other bloggers that you have newly discovered. 3. Contact those blog owners and let them know they’ve been chosen. I Am Momma, Hear Me Roar: Maybe its the fun upcycling projects or the seemingly crazed life she leads with two boys (ahem, at least a few Boothers can relate), but this blog makes the crafter in us roar to life. Running With Scissors inspires that seamstress who lives somewhere deep deep inside us. It's not just brimming with sewing ideas though. This lovely little blog offers ideas for home decorating, holiday crafts, and general re-purposing - all with a DIY, handmade bent. We think we're in love! The Long Thread is chock full of beautiful craft ideas, some divided by season, some for adults, some for kids, and, well, a little bit of everything for everyone. Filth Wizardy bursts with creative reuse ideas for crafting with kids. This brave mother of two girls inspires me to maybe, possibly, potentially set my boys loose with a glue gun and the recycle bin. Hmmm. Or not. I need to think about it. Betz White's blog offers a collection of cute and crafty projects - most with a green bent. Heck, her slogan is "Stitch Beautifully, Tread Lightly." We get goosebumps just looking at her spider doily creation and don't even get us started on the felted cupcakes! Going Home to Roost offers old fashioned charm, vintage finds and "consciously crafty: eco friendly finds" by the coop-full! Readers are sure to be inspired to add beauty to their lives in a meaningful way. Dainty Squid is for those who want to live a green life with flair. 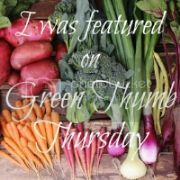 This colorful blog has home decorating ideas, vintage eye candy, recipes and much more. The Freckled Nest offers, among other things, thoughts on reusing vintage items in your home. Take a peek into her lovely home filled with garage sale finds and repurposed items for inspiration galore. Scoutie Girl is a well known blog but new to me, at least. It highlights "creative living and meaningful spending", with some reuse, style, and thoughts on consumerism thrown in for good measure. The Crafty Crow is hands down the best resources for kids' crafts, divided by holiday, season, age group, you name it. This is the website I turn to with my boys when we're feeling, well, bored and therefore, need to get crafty with it. Slow Family Online will get you thinking about how we can raise the next generation in a more meaningful, thoughtful way. Smiles Go With Everything's byline is "style and sustainability for the optimistic soul" and that sums up this holistic blog. There are sewing tips, refashioning ideas, thoughts about waste-free lunches, Etsy dreams - much to mull over. GNOWGLINS focuses on from scratch, in season cooking with loads of how tos, whys, and recipes. Perfect for the burgeoning homesteader. Crow Roosters Crow mostly features touching photographs of the simple things in our lives with the occasional note or recipe tossed in as an extra treat. Gorgeous. Finally, Let's Go Ride a Bike extolls the virtue of "life on two wheels: simple, stylish, fun." See what I mean? This fall, we at the Booth are clearly into the stylish green. Enjoy! First of all, thank you so much for the award and the kind explanation of my blog. Your blog is great! I love the title and the header. I'm off to check out some of the other blogs you mentioned. Thanks again! Thanks so much for the award! Thank you for the award! I really appreciate it. Thank you so much for including me in such terrific and inspirational company! What a great surprise. I'm honored and also love your blog. I mentioned Green Phone Booth and the award here: bit.ly/dhEXLT. 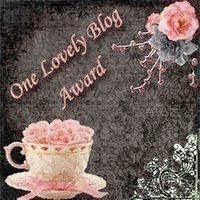 Can't wait to give out my own One Lovely Blog awards! I am finally here to say a big thank you for the award! What a treat to be among so many other beautiful blogs. I am glad it brought me to this inspiring space of yours. All the best!